These videos run through most of the functions. The overlay has all of the functions on it as well. I was just thinking about this the other day. Yes, the videos do run through all of the features, but having a .pdf on hand would be really helpful just to get refreshed on a particular function. Sometimes I'm not connected to the internet and can't open Youtube for reference. Doesn't necessarily need to be a manual or as in-depth as the videos, but just a quick description or explanation of what all of the controls do or something like "press this to do this". 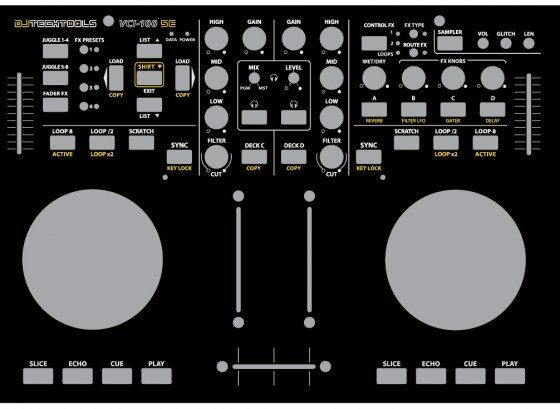 Having a reference like this for the VCI-100SE and MIDI Fighter mappings would be awesome. That was I meant "no left turn", anybody has it? I third this motion?? Seriously though, a pdf would be nice. You guys are right, it would be very helpful. I'm glad you said that cause I had all but decided to do it. There's a few things I don't use though so I was going to have to do some research.